After receiving a film degree from the University of Central Florida, Justin went on to attend the American Film Institute (AFI) where he received his Masters in Screenwriting. 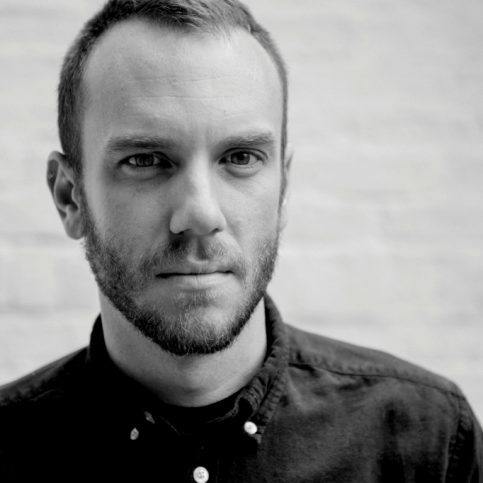 While at AFI, Justin met Charlie McDowell who was enrolled in the directing program. Their partnership culminated with the film “The One I Love”, which starred Mark Duplass and Elisabeth Moss. The film premiered at the 2014 Sundance Film Festival, where it was purchased by The Weinstein Company for distribution. For his efforts, Justin was nominated for an Independent Spirit Award for Best First Screenplay. Justin and Charlie recently finished writing the feature film “The Discovery” which McDowell went on to direct in April of 2016. Jason Segel, Rooney Mara, Jesse Plemons, Riley Keough and Robert Redford star in the Netflix Original film set to be released on the streaming service as well as theatrically on March 31, 2017. How did you break in or get your start in screenwriting? I wrote a script when I was an AFI fellow called FIGHTING JACOB — about an up-and-coming boxer on the amateur circuit who struggles with OCD and hypochondria in his day-to-day life. But that daily struggle proves to be a huge benefit in the ring, as boxing serves as the perfect outlet for all of his pent-up aggression and he dominates. I called it the Jewish Raging Bull. Charlie read the script and saw something in it; or he pitied me. Maybe both. Anyway, we worked on it together and struggled to get it made for a few years. But it was through this script that my partnership with Charlie formed as well as landing representation. And then half a decade later we made a completely different movie called THE ONE I LOVE. So my career starting has been a roughly seven year process. Write what you want, not what you think will sell. Chasing trends rarely works. Other than that, I think the main things to remember are to stick with it and actually finish a script. It’s about finding ways to love the process as opposed to just focusing on the end result. That’s very hard because the process is often grueling and soul crushing. But if you can manage to find those little moments of joy in the actual writing and not dwell on what the writing might get you, at the very least you’ll be healthier mentally. What’s the hardest scene or project you’ve ever had to write? How did you navigate the challenge? Whatever I’m working on at the moment that question is asked is the hardest thing I ever had to write. It never gets easier. I forgot whose quote this is, but the idea that — If you find writing easy, it probably means you’re not a writer — is something I completely agree with. To me, the fun lies IN the navigating of that challenge. That goes back to what I was saying earlier about finding ways to love the process. And having a writing partner like Charlie to bounce ideas around with makes figuring it out way more tolerable. Or perhaps I should say way less intolerable. Making THE ONE I LOVE and selling it at Sundance completely changed my life. If for no other reason, I now live in an apartment that doesn’t look like the building where they found bin Laden. I’m rewriting a script for Amazon; as well as developing a limited series with Charlie and writing the pilot with him. Psycho — GoodFellas — Crimes and Misdemeanors — Seven — Groundhog Day — Planes, Trains, and Automobiles — Fargo — Adaptation — A Serious Man — Groundhog Day — Jackie Brown — Magnolia — Groundhog Day — Big Lebowski — And I’m going to add The Twilight Zone, The Wire, Breaking Bad, Mad Men, and The Sopranos because those shows are more cinematic in scope and character than most movies can ever hope to attempt. The Sopranos especially influenced me more than anything I can think of. Who are some of your favorite screenwriters? David Chase, Woody Allen, Coen brothers, John Hughes, William Goldman, Scott Frank, Andrew Kevin Walker, Matthew Weiner, Charlie Kaufman, Vince Gilligan, Quentin Tarantino, PT Anderson, Rod Serling. The enthusiasm of the attendees was just as refreshing and inspiring as the speakers. The various panels and inclusive atmosphere made interacting with fellow writers so much fun. Also, the food trucks.